A SILVER BRIS GUARD. Morocco, 1915. Bell shaped. 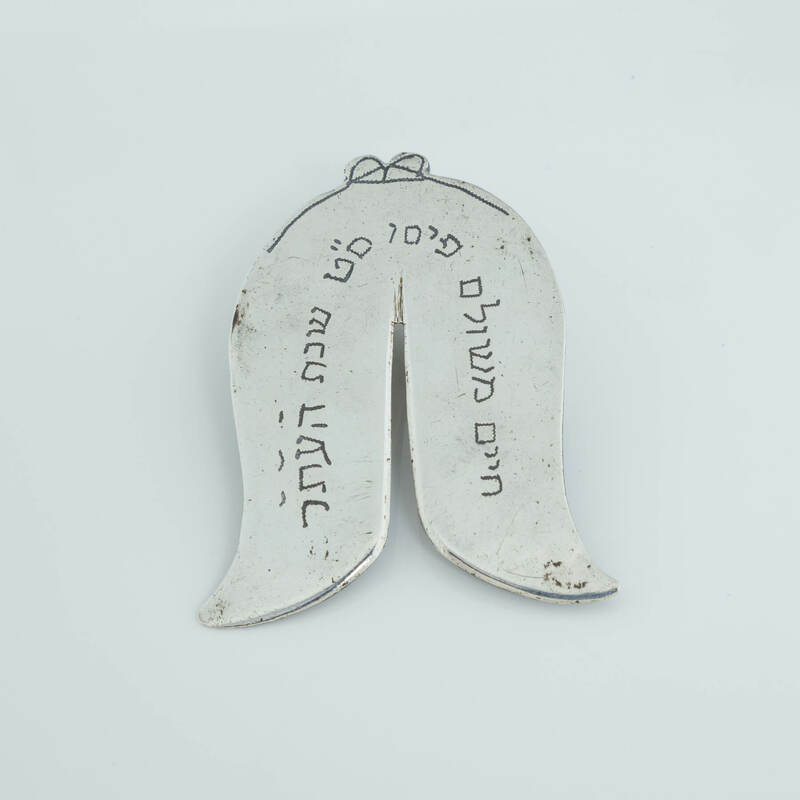 Engraved with previous owner’s name Chaim Meshulam Pisav (pure Sephardi). 2.6” tall.